Watch the NetClient Video Tutorial now. NetClient uses the power of the Internet to let you access our accounting and tax preparation services directly from our website – using a secure, private portal that is established especially for you. In this secure area all information that is sent, accessed or viewed over the public internet is encrypted using Secure Socket Layer (SSL). If you have ever checked your banking information or personal investments online, then you have accessed a portal that uses encrypted SSL technology to send and view sensitive information. The NetClient video tutorial will guide you through all you need to know to use this technology. This video illustrates the process of enabling multi-factor authentication for your Accounting & Tax Solutions Client Portal login credentials. 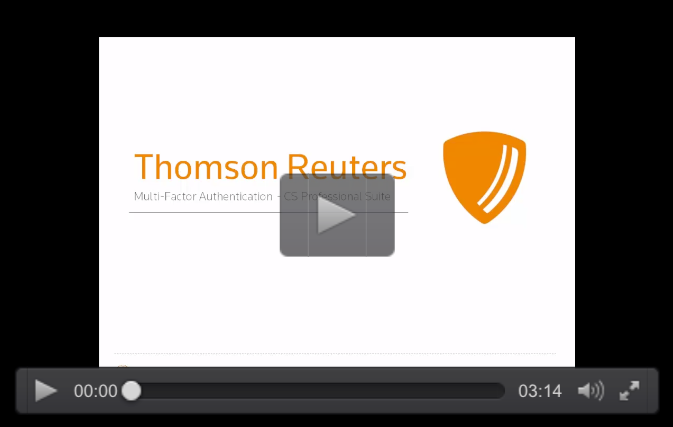 Click the video thumbnail to view this 3-minute video on the Thomson Reuters website.